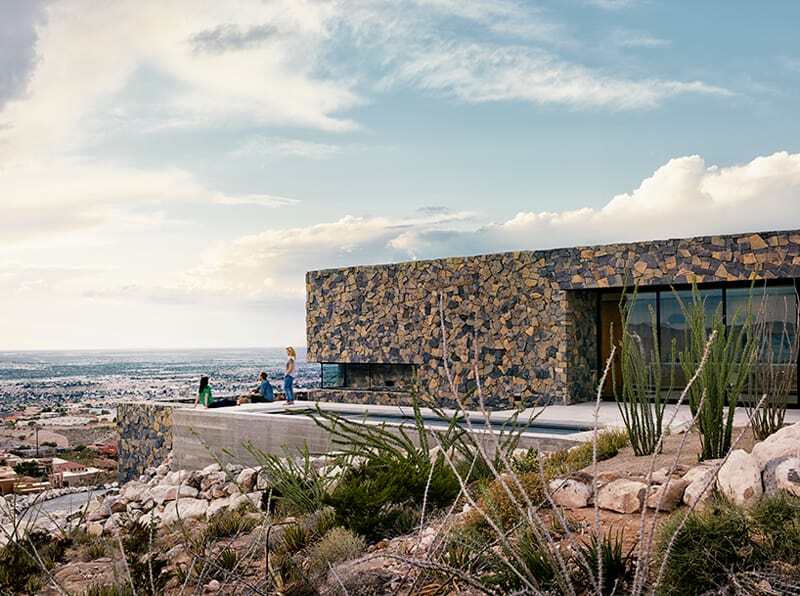 Nestled 800 feet above the city of El Paso, this modern mountain home is a dream home. It’s in some ways a dream they didn’t know they had. 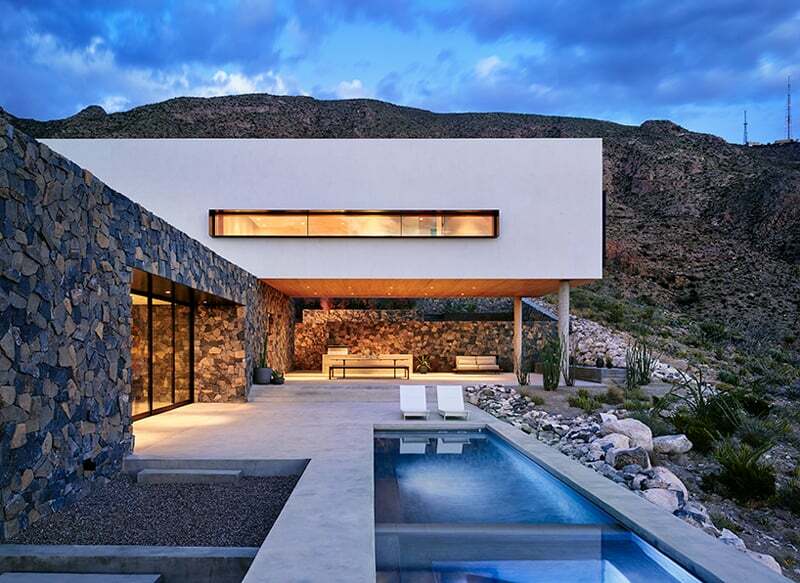 This wonderful residence was designed by the Tucson-based studio Hazel Baker. 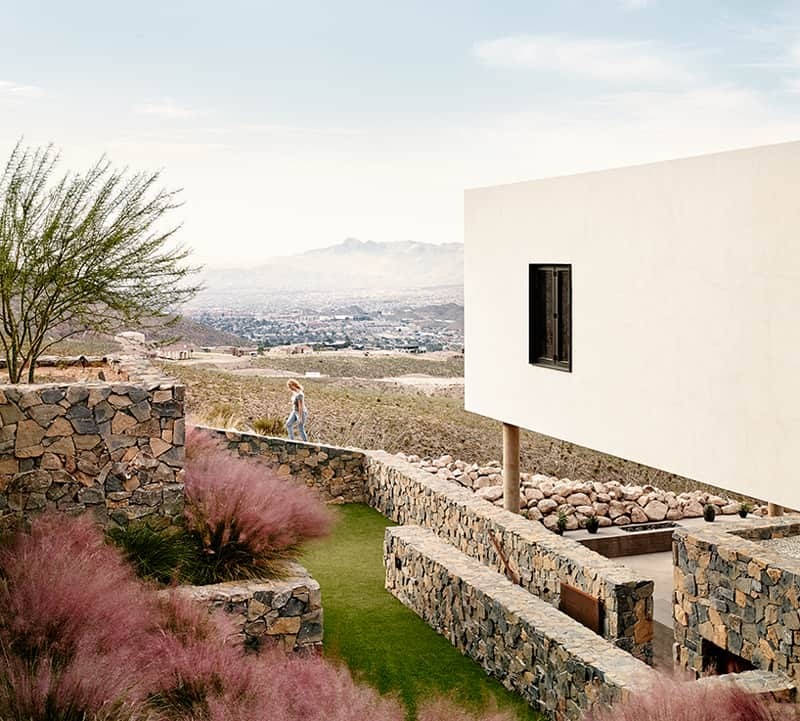 Rising 2,500 feet above the Rio Grande River Valley, it has adapted to the site’s undulating and steep topography, with the three-storey home maintaining a direct connection to the outside at each level. The Franklin Mountain House uses local grey basalt to conceal its lower floors. 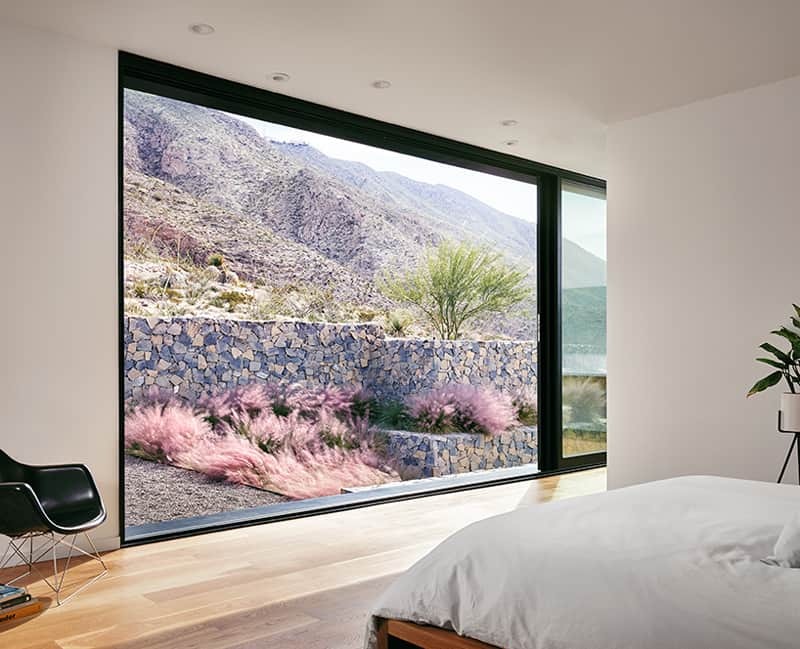 Simply known as Franklin Mountain House, the contemporary mountain home was tailored exactly to the owner’s wishes. 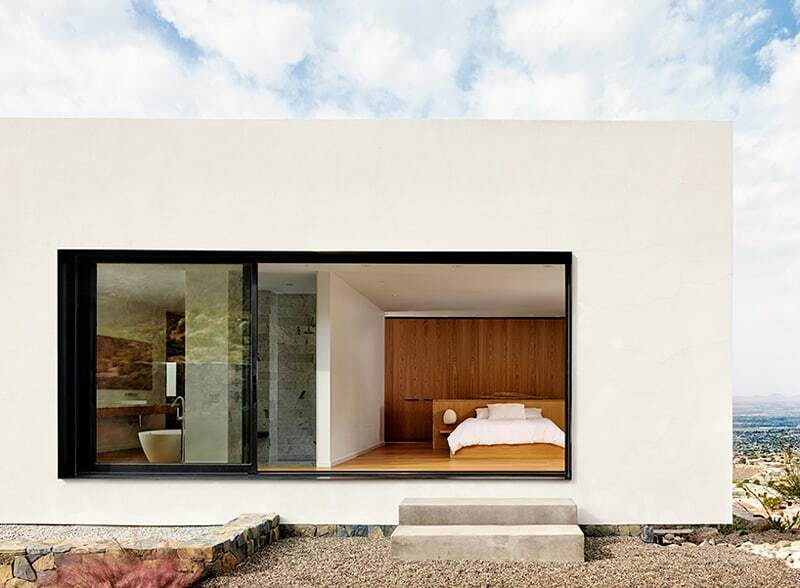 They requested a home that would blend with the surroundings and have outdoor living areas — a place where they could leave the door open to walk in and out. The bottom floor contains utilities, while the middle floor holds the kitchen, living room, and dining area, and also has access to a patio and the pool via a sliding glass wall. The upper floor holds the bedrooms and a play area for the family, extends perpendicularly beyond the lower levels, and is finished in a white lime stucco, giving the home its signature contrast. 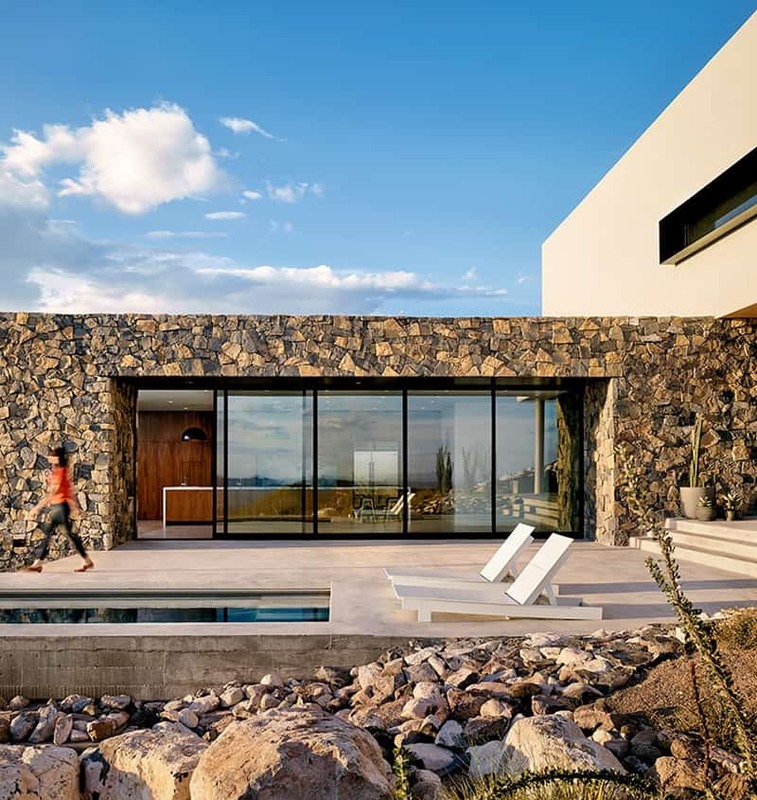 The white-cream used on its exterior, perfectly combined with walls lined with beautiful stones, definitely give a warmer air to this modern construction. Its arid exterior, of sparse vegetation and abundant rocky formations, has wonderful views of the mountains and the city. 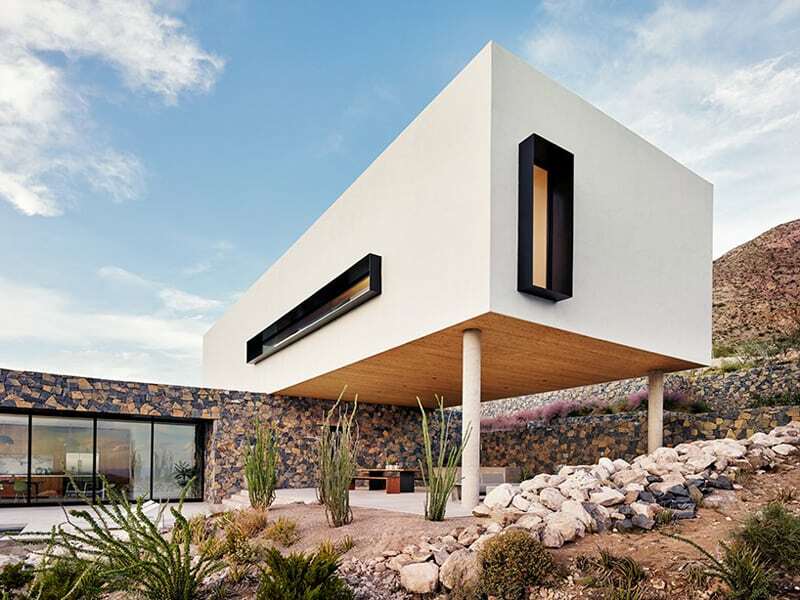 Panoramas and subtle blending of building materials compose an awe-inspiring overall appeal. The swimming pool area gives us wonderful moments to relax and, at the same time, connects us with the interior through the long glass doors placed alongside the house. Materials inside and out are inspired by or directly related to the vernacular craft of El Paso; stone masonry, smooth troweled stucco, steel work related to the railroad, and leather goods related to the cowboy history of the city. 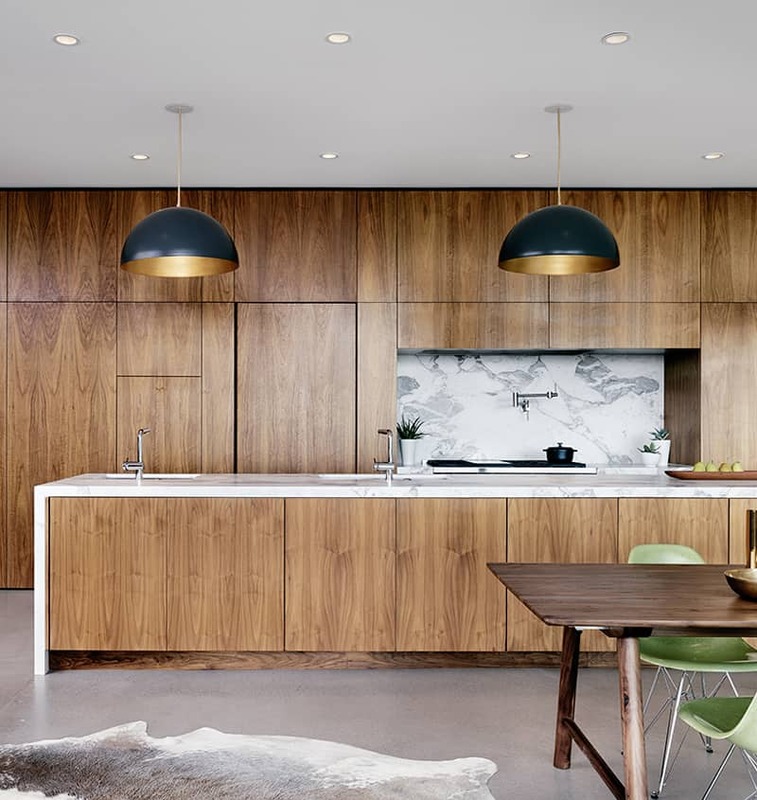 At the moments where one directly engages the building the door handles and cabinet pulls are fashioned in black steel with a small offering of leather to soften and warm the cold edges. Natural, honest, somewhat conventional materials are used in slightly unconventional ways to clearly convey a refinement of the vernacular craft.